Investing in Financial Markets and Forex Update: The Fibonacci daily pivot strategy is a popular day trading tactic used mostly by Forex traders. As with any other trading strategy, this system can have many interpretations, so feel free to add or eliminate factors to your liking. 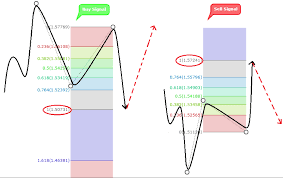 This strategy utilizes the Fibonacci retracement tool in addition to the daily central pivot level. Though other tools and indicators can be added for confluence, such as the Fibonacci extension, Average True Range (ATR), candlestick patterns, etc. For an optimal trade entry, you will be looking for an alignment of the daily pivot point with your preferred Fibonacci retracement level. The most commonly used retracement and extension levels used by traders implementing this strategy are the 38%, 50%, and/or 62% levels. First, draw your Fibonacci retracement from the high of the previous day to its low if price is currently below the central pivot point. Conversely, draw the retracement from the low to the high if price is currently above the daily central pivot. When price aligns itself with the daily central pivot and a strong Fibonacci retracement level, either enter immediately at market, or wait for a confirmation from candlestick formations. While waiting for confirmation reduces risk, some traders prefer to jump into a trading position immediately, so as not miss any sharp, sudden moves. Use the Fibonacci extension tool to set take profit levels. As for stop loss placement, most veteran traders advise setting your stop loss one level away from the targeted entry. So if you're entering a buy order at the daily central pivot and 50% retracement level, you would set your stop loss at or behind the 38% level. And that's really all there is to the Fibonacci daily pivot strategy. Yep, it's really that simple. There's a good reason why many experienced traders love using pivots – they just work. Investing in Financial Markets and Platforms Update: Since the end of the 1990s, there has been a great amount of deregulation in the options trading network. Much of this is due to open sourcing trading platforms that essentially allow anyone to copy the tactics of some of the best, without actually being the best. 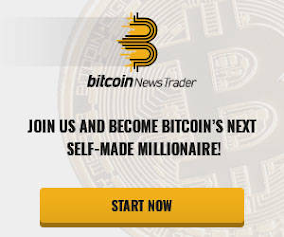 WebTrader is a platform that has been around since these times, though it has stayed among some of the top-trusted trading platforms in the industry. eToro WebTrader was established in 2010. The WebTrader platform is part of a larger concept known as social trading. 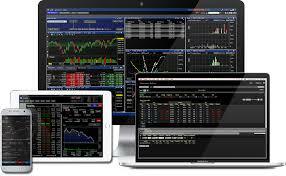 Basically, social trading allows traders to view what others are doing in real time. When people have techniques that allow them to profit, others can also cash in on the trends. This post is brought to you by 4XFX, a popular forex brokerage. There are many steps that you might need to take to become a successful forex trader. In this article, we will be looking at the five basic ones that can take you from being a newbie forex trader to one that makes a lot of money soon. One thing you need to know about forex trading is that it is not as difficult as you think it is. Just like maths, you need to understand and know the basics. Once you do, you’ll do really well. 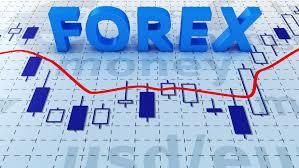 So, the five basic steps involved in successful forex trading includes. Forex trading involves learning some fundamentals. Jumping this will be the about the same as not familiarising yourself with the alphabets before thinking of writing at all. There is a process and a procedure to succeeding in forex trading. What most newbies don’t know is that they often have to get their fundamentals right. Once you can take care of this, you will have little or no problems. Unlike other forms of trading, forex trading isn’t as difficult and with little time spent on training a person could start to trade in this financial market. There are always different kinds of people. There are those who stay away from taking any risks and then there are those who take risks to benefit from them in future. However, taking risks doesn’t mean you should not closely examine your opportunities. 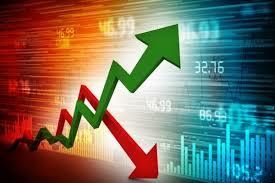 When you are interested in trading in forex market you have to get in touch with a broker. This is where you have to be very careful in order to choose the right broker. Is It A Good Idea To Invest Your Money In Forex? Investing in Financial Markets and Forex Update: Everyone is thinking of ways to make money but it’s not that easy. People would put their money in different businesses, partner with others, start their own small businesses, rent homes, buy properties, buy/sell currencies etc. to earn profits in their lives. Of course, there are hundreds and thousands of ways to invest money but not all of them are made for you. It’s best that you choose a niche that best suits your needs and lifestyle. At the same time, make sure you don’t get into something that you have absolutely no idea of unless you have received training on it. 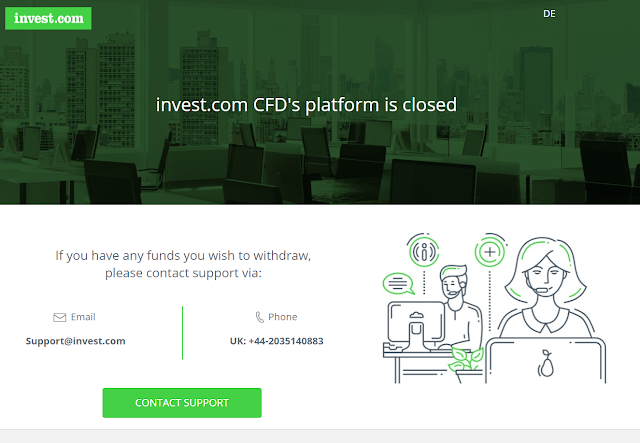 Important update: Invest.com platform has closed, Australian clients can withdraw any funds they have in their accounts by contacting Support@invest.com or calling phone number (UK) +44-2035140883. History of Invest.comInvest.com isn't your average Forex broker. Since its inception in 2014, Invest.com has experienced tremendous growth as one of the world's largest alternative investment firms. You don't just trade with Invest.com, you team up with some of the brightest financial minds out there. Their services include fully customized portfolio management, access to automated investment strategies and the ability to invest with a number of cutting-edge trading platforms. Let's take a look at what makes Invest.com a truly unique investment service. Forex and Religion: Can Muslims Trade On Invest.com? Investing in Financial Markets and Islamic Trading Update: Invest.com is a new cutting-edge investment opportunity spearheaded by professional market analysts, money managers, and savvy entrepreneurs. There are two ways to invest with Invest.com. The first is through portfolio management, where their team picks specific alternative investment strategies to achieve high returns while still meeting each investors own unique needs and financial goals. Specifically, Invest.com offers a portfolio Advisor and portfolio Builder. Unfortunately, Muslim investors are unable to use Invest.com's portfolio services since they charge monthly and annual management and performance fees. Since interest is charged, this investment would be considered Haram.